LK (Light Strike) is the world’s first optical mechanical switch technology to be introduced to the market. With gamers in mind, the LK is designed for speed and durability. LK technology eliminates all digital noise that all other mechanical keyboards suffer from. By removing digital noise we are able to achieve a 0.2ms response time. 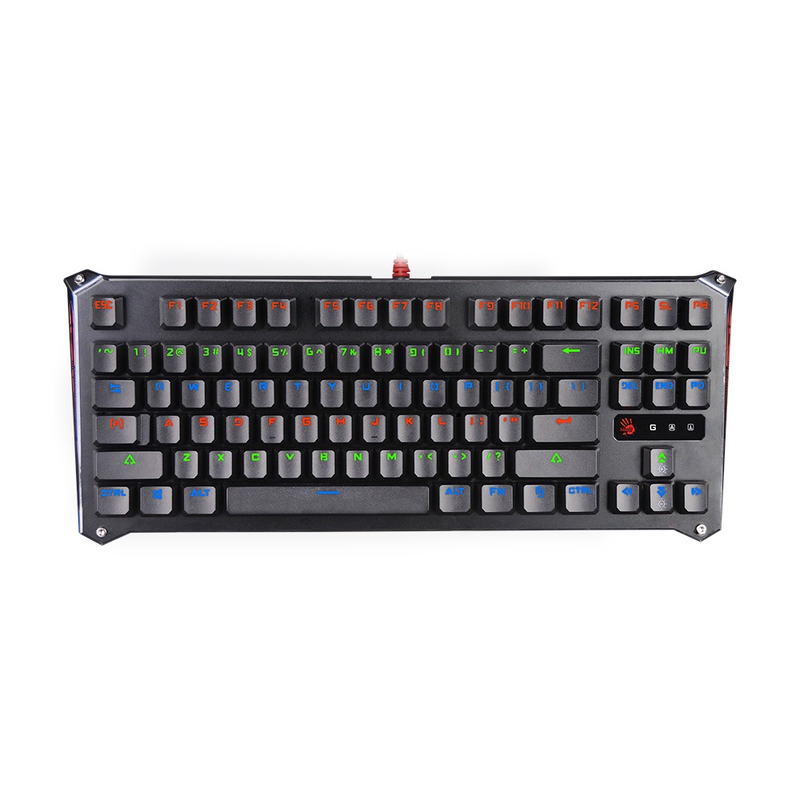 B830 is a LK mechanical keyboard that is the most responsive keyboard on the market. LK Blue switch is an audible and clicky switch with a 1.8mm actuation point and total travel distance of 3mm. It features a vivid neon 3 color LED backlighting with multiple profile presets. Bloody keyboards are built with quality materials that provide a premium gaming experience. Our keyboards have a nano-coating over the PCB board that helps ensure the keyboard is dust and water resistant. 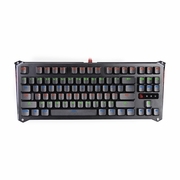 This keyboard features 100% N-Key rollover and is fully programmable. The LK switch has the life span of up to 100million keystrokes. Bloody keyboards feature the unique design, high-quality precision and state-of-the-art technologies. Focusing on details, convenience and ergonomics makes it at the top. As the centerpiece to your gaming setup, Bloody keyboard is designed to deliver total satisfying control right to your finger-tips.